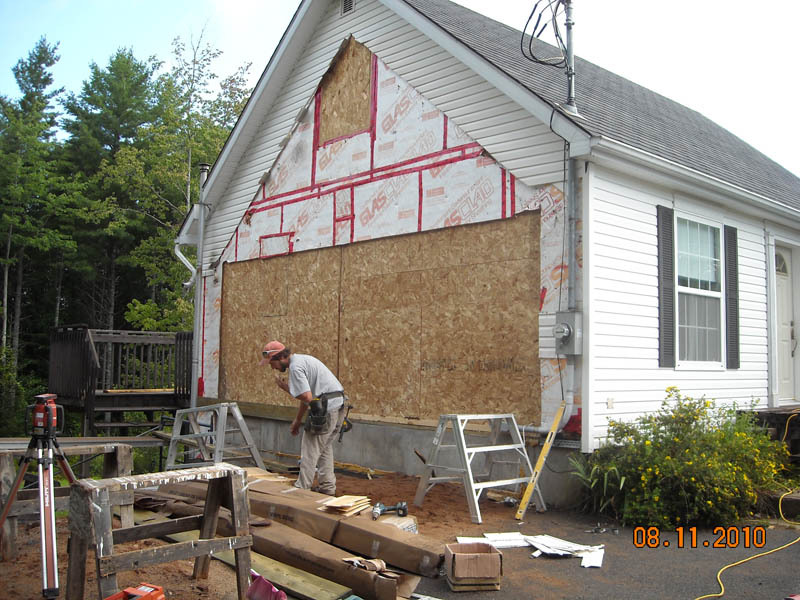 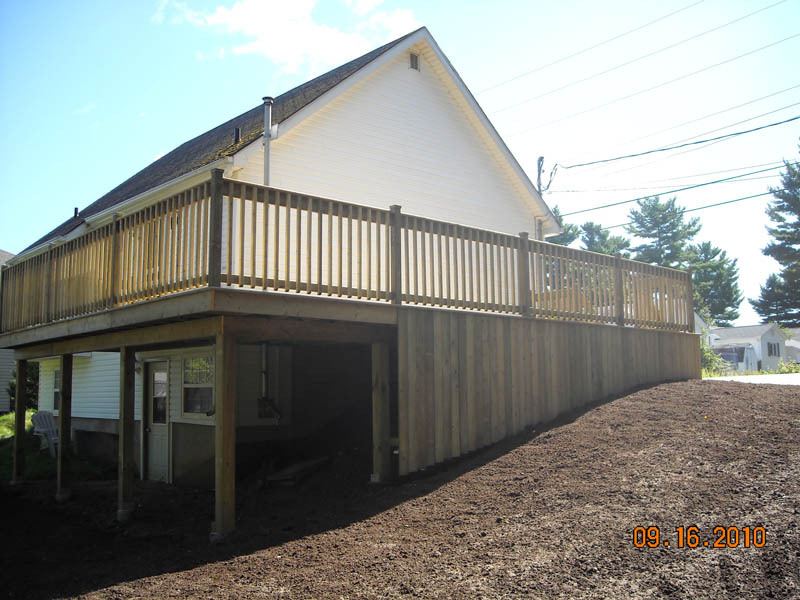 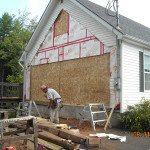 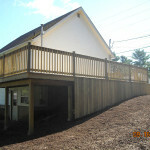 Removed garage that was sinking and replaced with wrap-around deck. 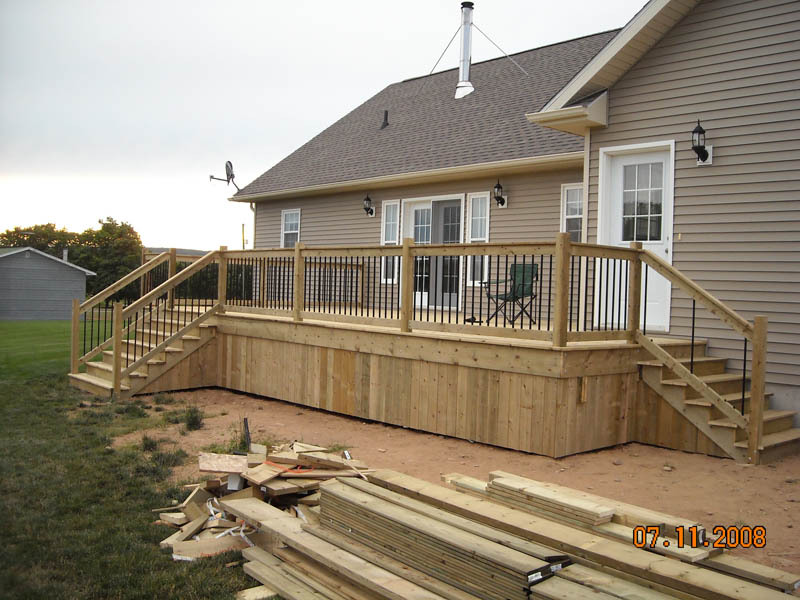 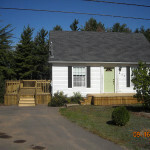 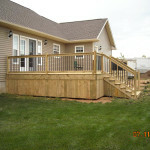 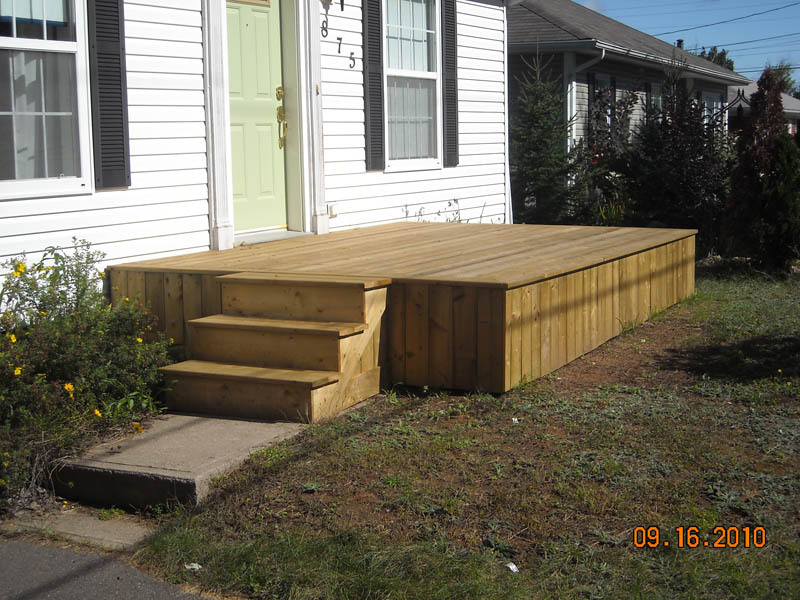 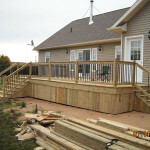 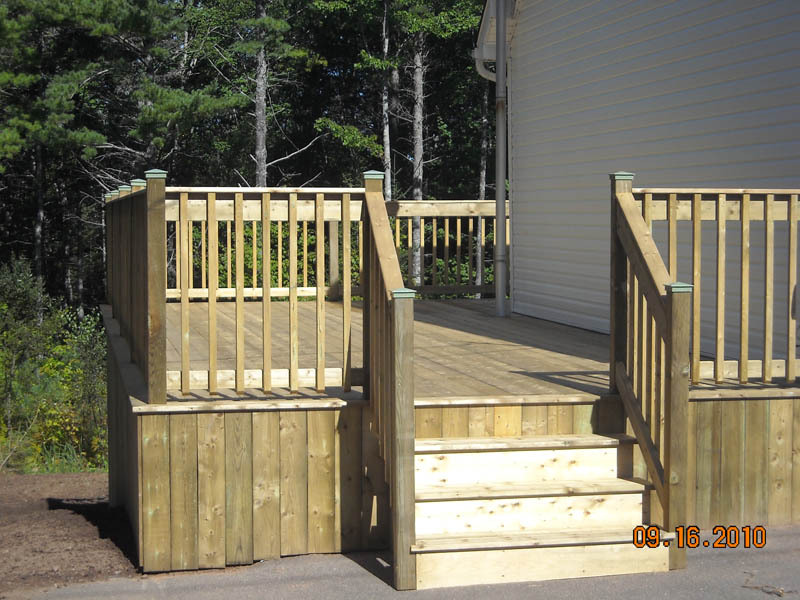 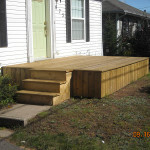 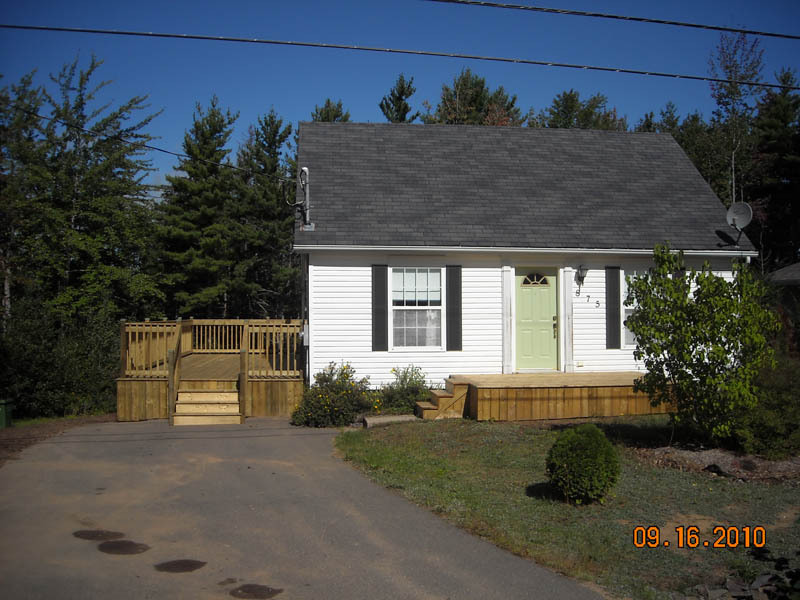 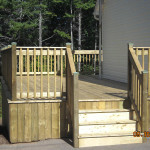 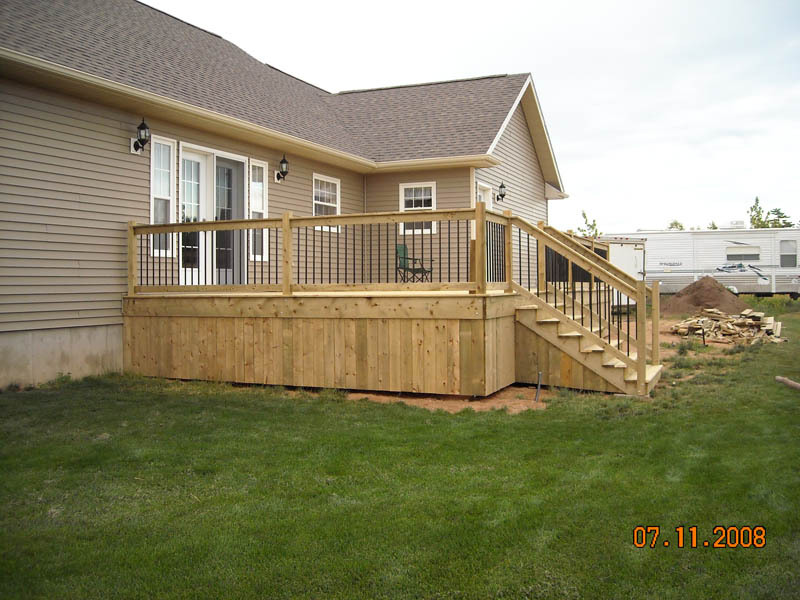 Pictures identify where the garage used to be, the finished deck from several angles and a new front doorstep to match. 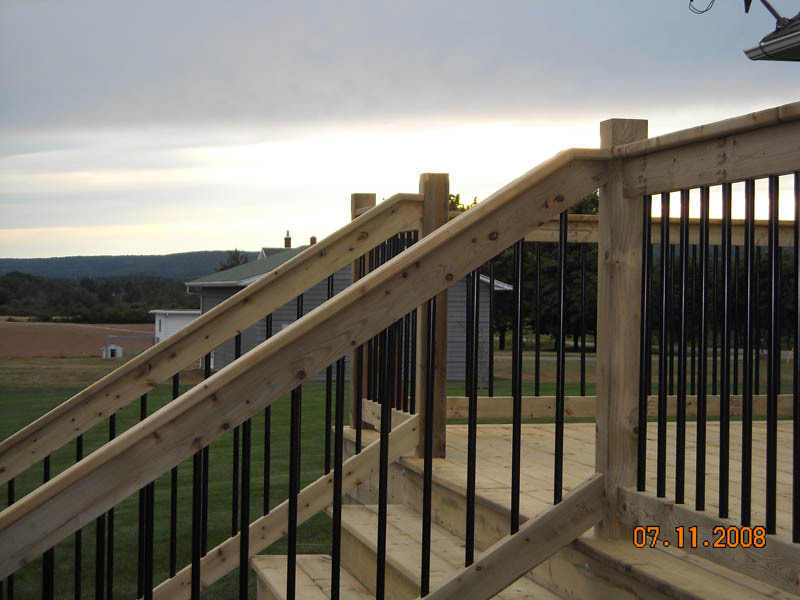 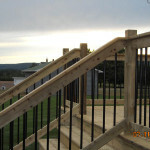 Pictures show a completely new build using modern railings.